After taking a break from doing newsletters, I will be doing a monthly newsletter which includes information about Acupressure, Reiki, massage and general wellness tips, in addition to announcements about upcoming events, classes or special pricing on sessions. To view past newsletters, please click here! Create your own class -- let me know the best dates for your family, friends, or co-workers, and we'll schedule it around what works best for you! If you would like to learn meditation techniques that will support the health of your pets and other animals, this class is for you! 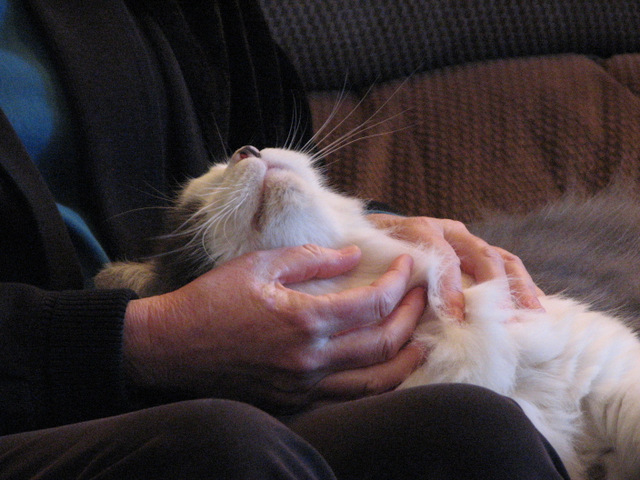 It also includes instruction on self-Reiki treatments and sharing Reiki with friends and family. Students will be provided with an in-depth manual, and a certificate of completion. Please click here for more details! If you would like to subscribe to the email list for AcuReiki Healing Arts, please complete the web form below. Emails will include the seasonable newsletter, with interim news and announcements. Emails may also include self-help tips for stress reduction, Acupressure and Ayurveda, information about Reiki and Reiki for animals, and information about upcoming classes and services. Please note that when you click on the "Subscribe" button, the fields will instantly (and surprisingly) empty, but don't worry -- that means it's gone through, and you'll receive an email where you can confirm your subscription.